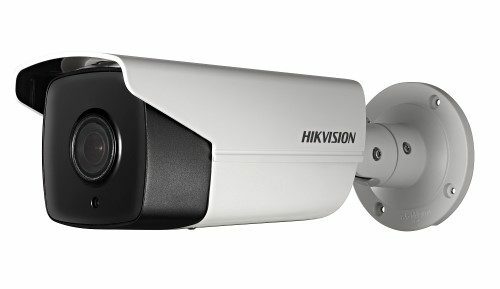 Part of Hikvision’s E PTZ series, the HIK-2DE4A425IWDE is an outdoor surface mounted PTZ with 25x optical zoom. The Hikvision E series combines a host of features in a relatively compact size PTZ. It can capture high quality 4MP images efficiently with H.265 or H.265+ compression technology and with a 360 degree endless pan range and a -15 to 90 degree tilt range, this versatile and affordable PTZ dome camera is ideal for monitoring expansive areas whilst also allowing the user to focus in on specific details for further forensic needs. Part of Hikvision’s 2-Line range of cameras, the HIK-2CD2142FWDI4 is a vandal proof outdoor IR network dome camera that produces exceptional 4MP high resolution video. Providing an ideal combination of features and affordability, this camera includes 120dB true wide dynamic range and supports H.264+ intelligent compression which allows output of an incredibly well balanced image and reduces bandwidth/storage requirements by up to 50%. With inbuilt IR providing up to 30m visibility at night and a 4mm fixed lens, this camera is great for covering a wide area so you can focus on the detail you really want. Part of Hikvision’s 2-Line range of cameras, the HIK-2CD2542FWDI2 is a vandal proof mini IR network dome camera that produces an exceptional 4MP high resolution video. Providing an ideal combination of features and affordability, this camera includes 120dB true wide dynamic range and supports H.264+ intelligent compression which allows output of an incredibly well balanced image and reduces bandwidth/storage requirements by up to 50%. With inbuilt IR providing up to 100m visibility at night and with a 2.8mm fixed lens, this camera is great for covering a wide area so you can focus on the detail you really want. Part of Hikvision’s 2-Line range of cameras, the HIK-2CD2542FIWS4 is a vandal proof mini IR network dome camera with a built-in Microphone and WIFI capability, that produces an exceptional 4MP high resolution video. Providing an ideal combination of features and affordability, this camera includes 120dB true wide dynamic range and supports H.264+ intelligent compression which allows output of an incredibly well balanced image and reduces bandwidth/storage requirements by up to 50%. With inbuilt IR providing up to 10m visibility at night and with a 4mm fixed lens, this camera is great for covering a wide area so you can focus on the detail you really want. Part of Hikvision’s 2-Line range of cameras, the HIK-2CD2142FWDI6 is a vandal proof outdoor IR network dome camera that produces xceptional 4MP high resolution video. Providing an ideal combination of features and affordability, this camera includes 120dB true wide dynamic range and supports H.264+ intelligent compression which allows output of an incredibly well balanced image and reduces bandwidth/storage requirements by up to 50%. With inbuilt IR providing up to 30m visibility at night and with a 6mm fixed lens, this camera is better suited for focusing on a specific area from a short distance. 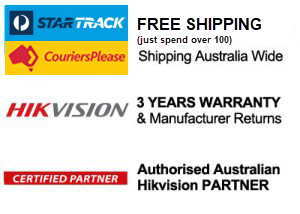 Part of Hikvision’s 2-Line range of cameras, the HIK-2CD2142WI2BK is a vandal proof outdoor IR network dome camera that produces exceptional 4MP high resolution video. Providing an ideal combination of features and affordability, this camera includes 120dB true wide dynamic range and supports H.264+ intelligent compression which allows output of an incredibly well balanced image and reduces bandwidth/storage requirements by up to 50%. With inbuilt IR providing up to 30m visibility at night and a 4mm fixed lens, this camera is great for covering a wide area so you can focus on the detail you really want.